I’ve not posted for a while but I feel the need to blog tonight about the most fantastic service I experienced lately from Amazon. If you’re a regular visitor to my blog you’ll know that I’ve previously raved about the Amazon Kindle. It’s a fantastic device and I have to say that it’s been used daily since the day I got it. Well sadly on Saturday gone it gave up the ghost, the screen was showing corruption and despite trying the reset instructions it was kaput. So, I googled the problem and came across a URL for Amazon support. I logged in with my normal Amazon credentials and was presented with a support page with a button saying something like “press here if you would like someone to call you back.” Well the next bit was amazing, I pressed the button and my phone rang immediately, I mean within milliseconds. Upon being greeted by an agent who was knowledgeable about the Kindle, as opposed to someone who merely logged my call and put me on hold for someone else, we went through the details of my problem. When it was apparent that the device was faulty I was transferred to another department to sort out a replacement. Again this was instant, no being put on hold etc. A few more details were taken about the source of the device etc, which happened to be a gift, but at no time did I think my integrity was being challenged. Anyway the upshot was that two days later my replacement Kindle arrived free of charge, and Amazon have covered all costs to have the faulty one collected. Now that’s an extraordinary customer experience… will I be shopping with Amazon again? Previous postTime to invest in new tech stocks or time to buy lottery scratch cards? The other amazing thing is that your experience is not unique – I benefited from the same first class service and so have everybody else I’ve spoken with. It raises questions about the build quality of the device, but I wouldn’t have a bad word said against it. 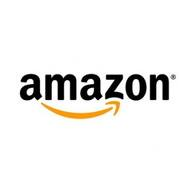 The high street retailers could learn from the Amazon service.